It’s Cinco de Mayo today, and one of the foods we associate with this holiday is guacamole. To make guacamole, you typically mix avocados and a variety of salsa ingredients into a smooth and spicy dip that you can use as a spread, a dip, or as a filling for a variety of delicious dishes. Guacamole is one of the rare foods that doesn’t need to be altered in any way to fit appropriately into a low-carb high-fat diet. 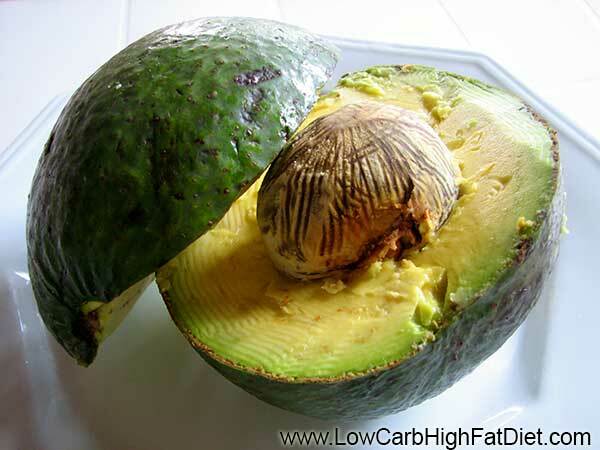 Made primarily of avocados, guacamole is a delicious food full of fat, fiber, and flavor. But this year we have to think twice about the guacamole we eat, and where those avocados come from. I’ve read several stories recently about the farmers of Michoacan province in Mexico, where the majority of avocados consumed in the United States are produced. Farmers there are under the control of a cartel that extorts protection money from them in order to allow them to do their business. These cartels use threats, violence, and murder to keep the farmers under their thumb. Cartels like the Knights Templar in Mexico made their money and their power exploiting the drug trade initially, but they now extend their reach to a wide range of industries and municipal offices. In recent years they’ve started expanding into avocados because of how lucrative they are. Trade in avocados from Mexico to the United States is almost a $1 billion business, covering an anticipated 500,000 tons of Hass variety avocados in 2014. The question that comes to mind is whether or not boycotting avocados from Mexico is the appropriate response. My gut reaction when I started reading about this issue was to try to avoid avocados and guacamole this Cinco de Mayo. But after reading and considering the actual impact of boycotts, I’m not sure that’s the right thing to do. After all, not all of the avocados that are produced in Mexico and sold in the United States are actually associated with this problem, and as a consumer I have no way to tell. Further, reducing demand for avocados in the United States Will ultimately only serve to harm the farmers, not the cartels. A boycott is usually targeted at the producers of a product. Voting with our pocketbooks is the most effective way to instigate change. But in this case, the producer is the victim who needs our help. A boycott won’t serve to reduce the institutionalized crime that is the real problem. Yet the value of our consumption is what attracted the cartels to the avocado trade in the first place. So I’m torn. I think it’s important to raise awareness. I’m just not sure that as consumers we can do anything about it. I’d love to hear your thoughts and ideas about the issue. Eating a low-carb high-fat diet is something we do for our own health, but we also have to consider the impact of our choices on the society and the planet we all share.